Christel House International has announced the appointment of a new Trustee to join the Board of Christel House Europe. Founder Christel DeHaan has invited Declan Kenny, Executive Chairman of First Names Group, Managing Director of First National Trustee Company and a long-time supporter of the organisation’s work, to become a Trustee of the European division of the charity she founded in 1998. 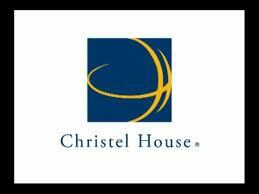 Said DeHaan: “We are so pleased that Declan has accepted our invitation to join the board of Christel House Europe. The European timeshare community has given loyal support to Christel House and with Declan’s leadership, CH Europe can continue to build on the momentum created under Ron Haylock”. Kenny commented: “I consider it a privilege to be asked to become a Trustee and look forward to being involved in ensuring the continuing success of the European division of Christel House”.